ONE who reads a birth chart for another should be grounded in the conviction that the success of the reading given is to be measured by the amount of assistance it affords his client to be happier, more and more useful to society. These are the three worthwhile objectives of human life; and to the extent the advice of the astrologer conduces to their maximum attainment is that advice of value. If this is kept in mind, and the astrologer strives, to the limit of his ability, to aid his client cease drifting on the blind tides of fruitless endeavor, it will raise astrology from the rank of cheap fortune telling into that of a dignified and exceptionally useful profession. It is of very little value to any individual to be told that, according to the indications of his chart, he has certain faults. A cheap fortune teller can tell him this. But the real astrologer, if worthy of the title, can, and does, also tell him just what step he can take to overcome these faults. Any Gypsy along the road can point out to the individual that he is unsuccessful in making money. But it takes real talent to analyze a chart, pick out its weaknesses and its strong points, and indicate to this same individual how he can fortify his weaknesses and take advantage of such natural strength as he possesses, and thus so direct his efforts that he no longer is a failure, but becomes a financial success. If a chart is so hopelessly afflicted in the 7th house that marriage can bring nothing but tragedy and unhappiness, it is better for the client to realize this and direct his energies wholly into other channels. When marriage is denied, it is always indicated by heavy afflictions in the chart. That is, the absence of marital experience in the life is always a real affliction. But if the chart is inimical enough in this respect, to avoid marriage may be the less of the two evils. Yet as a matter of practical observation, few charts are so hopeless in this respect. Instead, they indicate that the individual needs special education and the development of more harmonious thought cells in relation to affectional matters, and perhaps some special kind of partner, or some unusual arrangement in reference to the partnership. And it is when the astrologer can take a life which is miserable in its affectional experience, and direct it into channels of its maximum happiness in this respect, that he deserves to feel some pride in his work. Some women, for instance, abhor merely taking care of the home. Their energy is such that they can only be happy when out in the business world striving with others, meeting others, and feeling that they are accomplishing something in the world’s work. For such a woman to marry a man who feels that a woman’s only place is in the home is to wreck the happiness of both. But there are many men who are not so much interested in a home as in having a pal and a lover with whom they can converse and with whom they can go places. A business woman with such a man may make of marriage just as great a success as the homebody wife with the home-loving male. And these are the things about which the astrologer should be able to give the correct information. U.S. Grant was a failure in business. It was not until the war came along that his particular talents, which later placed him in the president’s chair, were discovered. Every person has more chances of rising to honor, or at least making a greater success, along some line than along other lines. It is the astrologer s business to determine the field of work, and the circumstances under which it should be followed, to enable his client to gain the highest success. Progressed aspects are not the writing of the hand of inevitable fate. 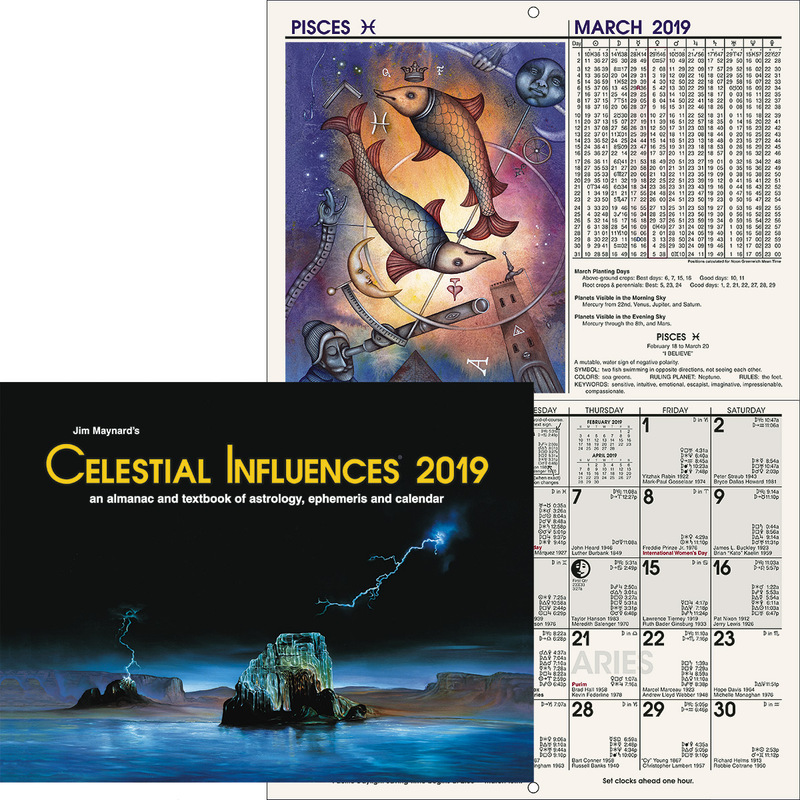 They indicate that certain thought cells, at predetermined times, will receive planetary energy of a particular quality, and, unless something is done about it by the individual, will become active in attracting a particular kind of event. The knowledge that such an event will transpire is of some advantage to the client, as it will enable him to arrange his affairs to meet the approaching conditions. Yet indicating when such events will transpire, if nothing is done about them, is the less important work of the astrologer. His real function is to point out in detail just what his client should do to prevent, or mitigate, events which he does not desire, and to take fullest advantage of those he does desire. Progressed aspects are not events, they are astral storms and astral sunshine, arriving at predetermined dates, which hinder or favor events. This hindrance or favoring is brought about through the energy, darkness or light, which they add to the thought elements within the astral body having to do with the department of life where the influence is felt. Just as a man protects himself from rain by umbrella and slicker, from cold by steam heat, and takes advantage of the sunshine and fresh air by his morning walks, so the individual can protect himself from adverse progressed aspects by selection of physical environment, by diverting Rallying Forces of a genial nature into the channels of the adverse aspect, and by the use of Mental Antidotes applied directly to the thought cells receiving the unwanted planetary energy. And he can take full advantage of favorable progressed aspects by mentally walking in the stream of their benign influence. Delineating a horoscope is not just a matter of telling the individual the facts about himself as they exist. What he is now, as mapped by his birth chart, is the foundation on which must be built what he is to become. It is important to understand this foundation. But a foundation is not a building. The important thing is the building. And it is the function of the astrologer, taking the foundation which already has been built, to indicate to his client how, in every department of life, he can build a future structure upon this foundation that is superior to any which could be built without the astrologer’s services, and which is as near to realizing all his worthy desires as possible. As this is written our school, in which teachers have been trained who are now conducting classes of their own in nearly every large city in America, has been in continuous operation thirty years. And the thing we have noticed as the most sure indication that a student will eventually become a good astrologer is not brilliance, but the ability to learn the rules set forth in these lessons and follow them closely. It is not that there is any intention to limit the student’s knowledge to our teachings. On the contrary we believe every student who masters our system should persist diligently to find, and prove out, additional astrological information. But we have found many rather brilliant minds who attend our classes that in reading a chart jump to the first thing they see in it, and flit from that to the next point, as a bird flits from limb to limb, with no system and no order. And instead of applying the rules set forth in the lessons, and modifying them as the chart indicates, they judge each position in the chart by what happens at the moment to enter their minds as a proper interpretation. In thirty years teaching astrological students I have never known one of these hop skip and jump readers to become a reliable astrologer. To them a position at one time means one thing and at another time it means something else, and in the end means faulty judgment. My advice to every astrological student is to learn the rules thoroughly, and always think of the rules first in every reading. Contradicting conditions in a chart often will prevent the application of a given rule; but in such instances the student should say to himself that the rule is so and so, yet in this particular instance it is modified or abrogated, and on that account must be read in the manner finally given. 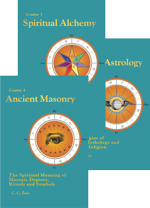 In Chapter 3 (Serial Lesson 88), Course VIII, Horary Astrology, I have indicated the system, as seven steps which should be taken in the same order of sequence in judging any horoscope, which we have found most advantageous not merely in natal astrology, but also in other branches. Some such definite system should be adopted and followed by every astrologer. The first step, as there given, consists in gauging the Power of the chart by the distribution of the planets among the houses. In natal astrology, planets in an angle indicate thought cells in the astral body with sufficient vigor to accomplish something. Unless there is energy present in volume nothing of importance, either good or bad, is attracted. Planets in an angle, or at least prominent, indicate though-cell activity. Thus in Lloyd George’s chart (pages -) four planets are in angles; in Jean Harlow’s chart (pages -) five are in angles; in Charles Lindbergh’s chart (pages -) four are in angles; in Anne Lindbergh’s chart (pages -) eight are in angles; in Henry Ford’s chart (pages -) four are in angles; in Thomas Edison’s chart (Chapter 9, Serial Lesson 1, Course 2, Astrological Signatures) five are in angles; and in Upton Sinclair’s chart (pages -) four are in angles. January 17, 1863, 8:55 A.M.. 2W; 53N10. 1888, January 24, married: Mercury sesquisquare Saturn p in house of marriage (seventh). 1914, commencement of World War I: Mercury sesquisquare Saturn r, in house of war (seventh). Moon in 10th, opposition Uranus in 4th, united by harmonious aspects of Jupiter, planet of the public’s money, making a sextile to Moon and a trine to Uranus. His most notable achievement was when, as Premier of the British government during World War I, he succeeded in raising sufficient money from the public to finance the Allied armies. This means that the thought cells in the astral bodies of these persons, as mapped by the angular houses thus occupied by planets, were vigorous enough to enable them to accomplish something if these energies were directed toward accomplishment. To attract even good luck or bad luck in any marked degree takes energy. Nothing of consequence happens in the lives of people whose thought cells do not possess, as mapped in the birth chart, or as acquired through Mental Alchemy, more than mediocre energy. Therefore, if a chart is weak, the astrologer should tell the individual how, through cultivating desires and a proper line of thought and action, to give his life more power. The second step is to observe the Quality of the influence which the most active stellar cells exert through noting the signs the planets and Ascendant are in. This Quality of the most active thought groups in the astral body is an important factor in determining the capacities and abilities. In Lloyd George’s chart (pages -), for instance, we find four planets and the Asc. in fixed signs, indicating fixity of purpose and ability to handle details. Four planets in movable signs enable him to branch out, pioneer, and when necessary enter untrodden paths. Two planets in mutable signs give adaptability, which is heightened by the adaptable planet, Mercury, in conjunction with the Asc. We might judge, therefore, from the dominance of the fixed signs, that such an individual would be active and daring in carrying out his policies, that he would be agile in adapting means to attain his ends, but that once he had decided on the end to be attained he would not swerve, and would only surrender it when overwhelmed by insurmountable difficulties. People with too many of their most active thought cells indicated by fixed signs tend to be stubborn, to lack adaptability, and to hold on to investments and other things too long. They, therefore, should be advised how to cultivate a more elastic attitude. People with too many stellar structures in the mutable signs, as indicated by the planets, permit both people and obstacles readily to deflect them from their purpose. They should, therefore, be instructed how to cultivate stamina and the ability to withstand being pushed about. Those with too many active stellar cells of the movable type are good starters. But they are so keen on pioneering that they tend to take up new projects before the ones already commenced are sufficiently under way. They should be instructed how to take pleasure in finishing what they start, and in not starting anything that they are unwilling to see through to its completion. The third step, also as having a bearing upon temperament and ability, is to note the triplicity in which the planets are found. This indicates to what extent the stellar cells and stellar dynamic structures tend to express through inspiration, emotion, aspiration, or as influenced by practical considerations. As in Lloyd George’s chart (pages -) six of the influences are in airy signs, he would move largely upon the intellectual plane. Practical considerations also would play an important part in his decisions, as three planets are in earthy signs. Two planets in fiery signs indicate considerable zeal and enthusiasm. But as he has no planets in watery signs, he may well know how to move others to tears, and may appeal to their sympathies, but is himself moved only by logic and reason. People with too few planets in the fiery signs should be taught how to cultivate zeal and enthusiasm. If the watery influences are deficient, they should cultivate sympathy and kindly emotions. An increased interest in mental activities should be advised when the airy signs are lacking in planets. When the earthy signs have too little influence in the chart, the individual should be instructed how to cultivate a more practical attitude. And in his vocation and other endeavors, these should be selected with a view to his abilities and shortcomings as thus indicated by the triplicity distribution of the more active thought cells in his astral body. 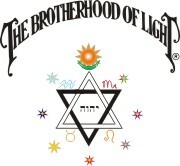 To do the things which are compatible to the Quality and Triplicity of the more prominent influences in his chart he merely will need to utilize thought cells which already are within his astral body; but to do the things which are not compatible to them, because the thought cells are not thus already in his astral body, he will have to work hard to build them into himself. While not an impossible task, this means the systematic expenditure of an immense amount of energy over a long period of time to be able to do what another person, with the proper thought cells already built, as indicated by his birth chart, can do with almost no effort. The fourth step is to note which houses are accentuated by containing planets. As planets indicate active thought cells built into dynamic stellar structures, the houses holding planets indicate the departments of life in which the thought cells have enough energy to attract events. In Jean Harlow’s chart (pages -), three planets in the 10th gave her much public notice, and the two planets in the 7th made partners an active factor in her life. Luther Burbank, with the only two angular planets in the 4th, gained fame in farming. Thomas Edison, with five planets in the 4th in a different sign, gained fame from work done in his laboratory. Conan Doyle (pages -), with six planets in the 12th was active in stories of crime detection and in psychic research. Charles Lindbergh (pages -), with four planets in the house of travel, the 3rd, was most active in flying. And Anne Lindbergh (pages -), with seven planets in her 10th—including the ruler of her 7th in conjunction with the ruler of her 1st—gained public recognition by accompanying her famous flying husband on perilous trips of exploration. 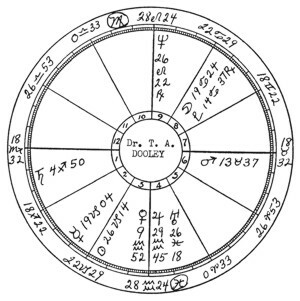 To build entirely new thought cells into a compartment of the astral body which will have the vigor, and therefore the same power to attract events, as would be indicated normally by several planets in the house of the birth chart, is probably a larger task than most people can accomplish. Therefore, the compartments of the astral body that already have the most numerous dynamic structures, as mapped by the planets, should be considered as representing possibilities either for fortune or misfortune. And the client should be instructed how to avoid indicated misfortune, how to turn the discordant thought energy shown into constructive channels, and how to take greater advantage of such compartments of his astral body as show unusual stellar cell activity of a harmonious nature. The fifth step is to note the influence of each planet in the house it occupies. That is, each dynamic structure is composed chiefly of the thought elements indicated by the planet mapping it, and these give their characteristics to the department of life mapped by their house position. This should be appraised before proceeding to the detailed delineation. The public notice Anne Lindbergh (pages -) receives, for instance, is influenced by each of the seven planets in her 10th. Jupiter gives abundance, and as it is ruler of the 4th, it associates her in the public mind with a wealthy father. Pluto is both the planet of universal welfare and the planet of gangsters and kidnaping. In the 10th of Upton Sinclair (pages -) it brought him fame through unceasing toil for universal welfare. But in Anne Lindbergh’s chart, being square Saturn, ruler of her children, it brought her notoriety in connection with the kidnaping of her baby and its murder and the $50,000.00 ransom paid without avail. Mars, the ruler of the 3rd, in the 10th, conjunction the flying planet, Neptune, also brings her honor as a daring aviatrix. In addition to the planets in his 3rd, Charles Lindbergh (pages -) has both Pluto and Neptune in the 7th, house of open enemies. Neptune is the planet of aviation. Early in 1934 the cancellation of air mail contracts by the Postmaster General brought him into sharp conflict with the administration. In 1932 the kidnaping of his child brought a nationwide search for the gangsters, as indicated by Pluto in his 7th, who took ransom money from him, although the child had been murdered by someone almost immediately after it had disappeared. Jean Harlow (pages -) had Jupiter, the planet of abundance, in the 5th, house of love affairs and entertainment. It is one member of a grand trine, and her outstanding success was in the realm of entertainment. But she had Mars and Uranus in her 7th, house of marriage, and her marital life was an outstanding example of strife, disruption and tragedy. Lloyd George (pages -), Calvin Coolidge, Franklin D. Roosevelt, Wm. Jennings Bryan and Anne Lindbergh (pages -) get the widest publicity for such events as come into their lives, because the Moon, representing the common people, is in the 10th. Their actions and their affairs are perennially of public interest. The house position of each planet, in addition to indicating the type of influence surrounding the department of life mapped by the house, also is a guide to the Mental Antidote which must be applied to overcome the misfortune, if such should be denoted, relating to the department of life. The sixth step is to note the relation which exists between the house occupied by each planet and houses the cusps of which it rules; how many planets are above the horizon, how many are east, if the Asc. is fast or slow, and such matters. When a planet is not in its own sign, but is in some other sign, it indicates that the thoughts about the department of life which it rules by sign have become subordinated to the department of life indicated by the house in which the planet is found. For instance, if the ruler of the 7th is in the 1st, it indicates that the experiences before human birth with other life forms have been such that they have built thought cells into the compartment of the astral body relating to personal power with a type of activity which gives the individual the ability to dominate and overcome partners and open enemies. But if the ruler of the 1st is in the 7th, it indicates that past experiences have built into the compartment having to do with partners and open enemies a thought composition which enables the partner or open enemies to have more influence over the individual than he has over the partner or open enemies. This relation between two departments of life, in which one has a preponderance of influence over the other, may be to the individual’s advantage, or it may be to his disadvantage. Yet it is not something inevitable. It is a condition due to the organization of thought cells in his astral body. Therefore, if it is a condition of considerable disadvantage, the astrologer should instruct his client just how to go about it to build thought cells into his astral body which will alter the influence thus shown in the birth chart and enable him to attract conditions which are more to his advantage and to the advantage of society. By way of illustrating what is meant: Jean Harlow (pages -), with the ruler of her 1st in the 10th, was dependent for success upon popular approval. Anne Lindbergh (pages -), with the ruler of the 7th in the 10th, gives her honor some power over her husband. Grau San Martin (pages -), with the ruler of the 10th in the 12th, is dependent for honor upon secret plots and the relative power of secret enemies. The first six steps in judging any horoscope, as applied to natal astrology, will be seen to be in the nature of a preliminary survey in which, to be sure, important information is gained and beneficial advice is given, but in which the precision of detail is omitted. That is, no attempt up to this point has been made to determine all the factors relating to any special department of life, nor to give all the advice regarding it which should be given. That most important matter of the aspects has so far been completely neglected. And it is noting the number and nature of the aspects received by each planet in the chart which constitutes the seventh step in judging any horoscope. When, therefore, in delineating a birth chart, this seventh and final step is reached, the best plan is to take up each distinct department of life in orderly succession, consider what bearing each of the first six steps or general considerations, have upon it, and then to this add the influence of each aspect affecting it, and state the findings in as much detail as seems desirable. The order of sequence which should be followed is not as important as it is to have some definite system always to follow so that no phase of the life will be overlooked. The order in which the activities and interests are presented in the bold-faced subheadings of the Chapters 3 to 7 (Serial Lessons 105-109) inclusive we believe to be a good system to follow. But if thought more desirable, the detailed delineation can be commenced with the things ruled by the first house, considering the various things ruled by each house in turn, moving on around the chart to the twelfth house. But in whatever order the departments and phases of human activity are considered, no delineation of any department of life or type of anticipated endeavor should ever be considered complete until definite and detailed advice is given to the client as to the very best course of action to pursue regarding it. What he needs to know is not so much what will happen as what he can do about it, and just how to do it. If we start, for instance, with temperament and disposition, a statement of them as they exist is valuable to indicate adaptability to certain types of endeavor. But when the details of the disposition are revealed, as indicated not merely by signs and planets, but also by aspects, it is likely that certain characteristics are shown which are a detriment to the individual and which detract from his usefulness. These traits, therefore, should be pointed out as requiring correction. Even so, nothing constructive has been accomplished. And not until the astrologer gives his client instructions in detail just how to go about it to correct the undesirable trait, by diverting its thought-cell energy into constructive channels, should he consider he has given a complete delineation regarding this phase of life. Before passing from the first house of the birth chart the health will most appropriately come in for consideration. It is not judged, of course, exclusively from the first house, but according to the rules given in Chapter 4 (Serial Lesson 106). It is scant comfort to the client to be informed that as the Sun in his birth chart is not in an angular house, has no aspect to Mars, no good aspect to Jupiter, and is severely afflicted, he has so little vitality he will probably die at a time most people are in their prime. If such positions occur in the birth chart it is the obligation of the competent astrologer to tell him just how to go about it to build up a vitality far more vigorous than indicated by his birth chart, so that he may live and accomplish the things he wishes to do. The birth chart reveals the diseases to which an individual is subject. But this information is of little value unless the astrologer advises his client what thoughts to think, what foods to avoid and what ones to use abundantly, and what environmental circumstances to cultivate, that he may avoid these diseases. They are attracted by the unusual activities of certain thought cells which are discordant. And the client should be given detailed instructions in transforming these discordant thought compounds into harmonious compounds, and on using Rallying Forces to supply them with harmonious energy instead of that which is discordant. Should poverty be indicated in another birth chart, instead of advising his client he must always remain in want, the astrologer, by keen analysis of the chart should be able to find the best possible field for acquiring money, and give his client specific instructions on cultivating those attitudes and experiences which enable him to attract a competence. The astrologer should be able to select the vocation which his client should follow to be of greatest benefit to himself and others. When thus advising an adult, there are other considerations than those shown in the chart. A child can be educated to fill any place in life for which it has natural ability as shown by the chart. But already part of the life of an adult has flowed by. He can only with great difficulty start in the manner of a child. His educational background, and acquired handicaps must be taken into consideration. Some have energy enough to gain an education after thirty; but to most it would be useless to advise an occupation requiring a good education if at that age they were still comparatively illiterate. One who in his own country might have been a good public speaker, but who has arrived in America after maturity, may find his accent too great an obstacle for him to overcome to follow this occupation here. Thus in advising an adult in regard to activities where education and acquired habits are important, his cultural background and experiences since birth, as well as the chart for the time of birth, should be given proper consideration. Affectional matters have considerable bearing upon the happiness, usefulness and spirituality of nearly every life. If the birth chart indicates much disappointment and discord throughout life where these interests are concerned, the astrologer should not be content merely to tell his client that marriage will be disastrous, that love will be unrequited, or whatever the condition shown happens to be. He also should instruct just how to overcome these conditions indicated. Often if a certain type of person is avoided in affectional matter, or another type cultivated, or the affectional relation be on a prescribed basis of mutual tolerance, happiness may be gained from an otherwise discordant affectional life. And even more frequently the assiduous cultivation of certain habits of thought and action, which the astrologer should be able to point out, will convert this, or any other department of life, from an intolerable situation into one of satisfactory expression. After all, the condition attracted, whatever it may be, is due to the energy and activity of certain easily ascertained thought cells within the astral body. These thought cells have been formed by states of consciousness; and they can be added to, or altered by other states of consciousness. To do this requires the cultivation of new feelings, impulses, and thoughts, about the department of life in which a change of fortune is desired. Habits of long standing, such as those which have built powerful dynamic thought structures into the astral body, are not changed merely by willing them to change. They are altered only by resolutely following the law of new habit formation, as set forth in Chapter 7 (Serial Lesson 157), Course XIV, Occultism Applied. No impossibility is involved in changing a birth-chart opposition into an effective trine, or a birth-chart square into an effective sextile, as will presently be explained. But even partially to succeed in such an effort new habit systems must be formed to displace those indicated by the discordant aspect, and this is difficult enough even when the best method is followed. Therefore, the astrologer should be able to instruct his client not merely in the habits of thought and action which will build the desired new stellar cells into his astral body, but also the method by which most readily the new habit system can be established. The best planet in each chart delineated should always be selected, as it indicates those things with which the fortune will be best. And in this selection, prominence of the planet should receive attention as indicating its power to attract events and circumstances. The worst planet in every birth chart also should always be selected; but as indicating those things with which, by adding their character vibrations discordantly to the astral body, association will conduce most to misfortune. However, aside from any one planet thus selected, most charts present an appearance which at once attracts attention to certain outstanding configurations. Such a combination may be a close square from angles, a close trine from prominent planets, a grand square or a grand trine. A grand square gives just as much ability as does a grand trine, but to the extent the individual lives in the department of life indicated by the harmoniously aspected planets he will be lucky, and to the extent he lives in the department of his life indicated by the afflicted planets he will attract misfortune. Before illustrating this, as so little has been written about Pluto, I should point out he is co-ruler of Scorpio, and on his adverse side is the planet of gangsters and profiteers, while on the higher side his laws are: Know Yourself; Master Yourself; Be Yourself; Give Yourself. Now look at the chart of Thomas A. Edison (See Course Book II, Astrological Signatures), and you will perceive standing out an unusual square and an equally unusual sextile. Sun, Mercury and Neptune are conjunction in the 4th, in close sextile to Pluto in the 6th. So long as he worked in the laboratory, as indicated by the 4th, and with his employees as indicated by Pluto in the 6th he was a most lucky man, benefiting himself and contributing to universal welfare, as indicated by the sextile to the Universal Welfare planet. But when he ventured into the department of life mapped by the 5th he often met heavy losses. This square contributed to his great inventive ability as strongly as if it had been a trine; but in his financial ventures, especially those of a speculative character, he was anything but fortunate. Yet in spite of recurrent financial loss, at his death he left an estate of proportion commensurate with the benefic influences in his 4th house. Reference can be made advantageously to the grand trine to Venus in the 5th in the chart of David Belasco (See Course Book II, Astrological Signatures), the theatrical producer; to the grand trine to the Moon in the 11th in the chart of Professor Nicholas Murray Butler (See Course I, Laws of Occultism), president of Columbia University, and at times National Chairman of the Republican party; and to the grand trine of Pluto in the 10th in the chart of Upton Sinclair (pages -), whose novels have given him fame and money in spite of the fact that he has fought all predatory interests constantly in the interest of public welfare. Next in power to attract good fortune is a planet which connects by a sextile and a trine two planets in powerful opposition. The dynamic stellar cells in the two compartments thus connected by an aerial are unusually active. The aerial mapped by the opposition picks up energy in great volume, but imparts to it discordant static. But when another planet through a sextile and a trine reach each terminal of the opposition with an aerial, these harmonious aerials are able to drain the great energy of the opposition harmoniously into the stellar cells of the dynamic structure which this planet maps. Such a planet, and the department or life it maps, consequently, are commonly called the best in the chart, and attract the most spontaneous good luck. In the chart of Charles Lindbergh (pages -), for instance, the opposition of Pluto and Neptune in the 7th to Uranus and the Moon in the 1st, is connected by both Sun and Mars in the 3rd (house of journeys), sextile Moon and Uranus, and trine Pluto; Mars also being trine Neptune. In the chart of Anne Lindbergh (pages -) the opposition of Uranus to Sun, Moon, Mars, Neptune and Mercury, is connected by Saturn in the 6th, sextile Uranus and trine the five mentioned planets. On their flights of exploration she is not merely a passenger, but an efficient helper. Next to the grand square in its power to attract misfortune is a T, in which two planets in opposition are connected by a third planet which is square to both. Henry Ford (pages -) has such a T-square in which Pluto, although trine the M. C. and conducing to business success, is square Mercury and Sun, and to the Moon. This has not merely brought labor difficulties, but afflicted him in court when he attempted to expose Wall Street racketeers. These grand squares, T-squares, oppositions and squares all map definite stellar aerials which pick up the energies of the planets involved in such a manner that they are given a definite quality of static discord. The aerials they map are present in the astral body because feelings, emotions, and impulses of the discord implied have been repeatedly present when the departments of life connected by the aspect have been associated. What the astrological client wants, and what the competent astrologer should furnish, is a method by which these discordant thought compounds can be handled so that they will cease to attract misfortune, or better still, will attract good fortune, in the department of life which their house position in the birth chart indicates. There are three distinct methods by which such control of planetary influence over the life may be gained. They may be used singly, or in combination. And it should be a part of every birth-chart reading to instruct the client just how to go about it to prevent the heavier afflictions in his chart from bringing into his life the misfortune indicated. With a chart like that of Jean Harlow (pages -), it was not enough to tell her she would always be unfortunate in marriage and should stay single. She plainly was one who did not wish to remain single. Marriage was important to her. And the astrologer should have been able to tell her how to change the thought compounds in the compartment of her astral body mapped by the 7th in such a manner that she could have had at least a reasonably happy marriage. When the individual’s thoughts and feelings are tuned to a certain vibratory quality, the nerve currents, which are electrical energies, become conductors of this quality of astral energy and carry it readily to all the stellar aerials of the astral body. So long as this state of feeling is maintained the chief astral energy received by the stellar cells at the terminal of all the aerials is of this type, and of this harmony or discord. If the energy thus picked up and transmitted to the various dynamic stellar structures is pleasant, it causes thought-cell activity, to the extent the energy has volume, and of a character which is fortunate. If, in the birth chart there is some favorable aspect, it is much easier to tune the consciousness to its harmony and hold it there persistently than to tune in on some quality to which no stellar aerial in the astral body is tuned. The more outstanding and powerfully harmonious the aspect, the easier it is to tune in on its harmony and pick up its energies in volume. An individual, for instance, who has a grand trine in his chart finds it easier to tune in on its harmony, and to hold that state of feeling, than on a less pronounced aspect. And by the same token an individual with a grand square has more difficulty in keeping from tuning in repeatedly on this grand square than on less powerful aspects. To the extent the person lives in the environment and conditions indicated by the aspect it is easier for him to tune in on its vibrations, whatever they may be. So long as he keeps his consciousness and feelings tuned to the best influence in his chart, its planetary energies are picked up and added as Rallying Forces to the various thought cells reached by aerials. It is because those who have grand trines in their charts thus, without premeditation, live in such vibrations, that their lives in other departments than those reached by its aerials are often so successful. By establishing the habit system of keeping tuned in on the best influence in the chart the individual can minimize the amount of discordant planetary energy that reaches the thought cells in his astral body, and at the same time furnish them with a type of energy that stimulates them to activities toward attracting more fortunate events. Rallying forces, to the extent they are accompanied by thoughts and feelings, also tend to change the thought composition of the stellar cells. To the extent the thought compound is thus altered will it tend to attract a different fortune in the department of life where it functions. But the use of Rallying Forces is too general to be most effective in this respect. The most effective way of changing the thought composition of a stellar cell from a discordant compound into one harmonious is through the application of its Mental Antidote. The thoughts of the Mars type most readily enter into harmonious compounds with those of the Moon or Pluto type. The thoughts of the Saturn type most readily enter into harmonious compounds with the Venus or Neptune type. Thoughts of the Jupiter type enter most readily into harmonious compounds with those of the Mercury or Uranus type. And in applying these thoughts and experiences it is essential, if strongly harmonious thought cells are to be remade from those inharmonious, that there be pleasure in the association. As Course IX, Mental Alchemy is largely devoted to finding and applying such Mental Antidotes, the details can be acquired there. Conversion, also a mental alchemy process, does not contemplate changing the thought compounds in the astral body through adding to them other thought elements than they already possess. Instead, realizing that planets connected by a heavy aspect, regardless of the nature of the aspect, map dynamic stellar structures possessing an immense amount of energy, it proposes to utilize all the energy present harmoniously through a rearrangement of the thought elements already present, and perhaps adding more of the same planetary type. It is possible, through the conditioning process described in Course XIV, Occultism Applied, to learn to take pleasure in almost anything, even though always heretofore it has been most distasteful. Such work requires the establishment of new habit systems. And a new habit system cannot be established merely by willing to do so. 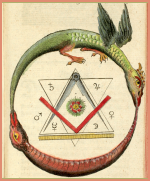 There is a definite technique, as set forth in Chapter 7 (Serial Lesson 157), Course XIV, Occultism Applied, and the astrologer should be able to tell his client not merely what new habits of thought he should adopt to convert a discordant aspect into a source of harmonious power, but also just how to go about it to establish the required habit systems. 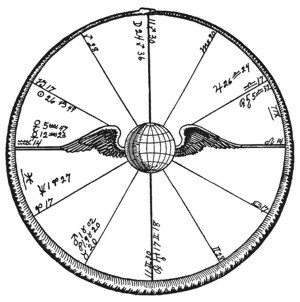 A discordant aspect implies that the thought elements of the two planets involved, because the things indicated by the departments of life revealed by their house positions have been present in the mind under disagreeable circumstances, have combined in a thought compound of definite discord. As a consequence, unconsciously, and usually also consciously, whenever these two departments of life are present in the thoughts there is a feeling of dissatisfaction or annoyance. As these thought cells were formed by discordant states of consciousness in relation to definite departments of life, they can also be reformed harmoniously by harmonious states of consciousness in relation to the same departments of life. It is all a matter of giving to them harmonious energy of greater volume and intensity than was originally given discordantly in their building. Harmonious thinking and feeling about the things mapped by discordant planets rearrange the thought elements in the stellar cells relating to these things, and if the things thus brought about belong to different departments of life, an aerial capable of picking up corresponding energy harmoniously is built across the astral body connecting the two compartments. That is, instead of thinking about things mapped by the favorable aspects in the chart, as in applying Rallying Forces, Conversion is accomplished by thinking about the things mapped by the most discordant aspects in the chart. But the association between two departments of life thus thought about must be free from discord and charged with pleasurable feeling. As the stellar cells are thus altered in the arrangement of the thought elements of which they are composed, the pleasant association between the departments of life dissolves the stellar aerial across the astral body mapped by the discordant aspect, and builds a new one which picks up energy free from static and gives it a harmonious trend. Conversion is far more difficult in practice than the application of Mental Antidotes; for when the things mapped by a discordant aspect are thought about there is an almost irresistible tendency for the thoughts to warp around to a viewpoint which has elements of discomfort. Often there is something like a mental argument with the person so signified, or about the matters indicated. Therefore, Conversion is not something which can be accomplished by an untrained mind. For its success the departments to be harmoniously united must only be thought about in a pleasurable way. Yet to one conversant with the technique of forming habit systems in reference to thoughts and feeling, who at the same time has sufficient resolution, any stellar aerial present in his astral body at birth, as mapped by an aspect in his birth chart, can be dissolved. 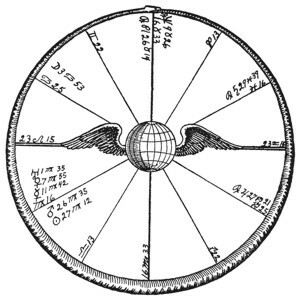 Furthermore, its energies can be fully utilized in a manner that will attract fortunate conditions, instead of those unfortunate, by building across the astral body a stellar aerial, not mapped by the birth chart, but nevertheless quite as effective, such as customarily is mapped by a sextile or a trine. Through Conversion, which every astrologer should understand, an opposition can be transformed to exert the influence of a trine, and a square can be rerouted so that its effect in the life is that of a sextile. January 17, 1927, 2:20 A.M., CST. St. Louis, Missouri, 38N38; 90W12. 1956-1960: established six outpost hospitals in Southeast Asia, treating twenty-five-hundred patients a day. 1959, Feb.: fell and bruised his right shoulder and chest. 1959, Aug. 19: learned he had cancer and flew to New York City. 1959, Aug. 27: operation for cancer. 1960, Nov. 20: after another year’s field work, collapsed. Hospitalized in Hong Kong. 1960, Dec. 27: transferred to New York. 1961, Jan 16: death from lung cancer. September 20, 1878, 3:00 A.M.. 76W30; 39N15. Data from him personally for inclusion here. Pluto, universal welfare planet, and also planet of racketeers, in 10th trine Mars. For thirty-five years his exclusive business has been to expose rackets and corruption. An early novel, The Jungle, caused governmental investigation of meat packing industry in Chicago, and brought reforms of benefit to workers and public. Pluto, Mars and Sun in 2nd, and Jupiter, form a grand trine. He has helped, and been helped by, laboring people, as indicated by Jupiter in the 6th, and has made money for himself. Ability to write indicated by the three planets in his 1st trine Neptune; success in publishing by Neptune well aspected in 9th. Neptune, the socialistic planet gives the trend of his publications; many of which he published himself.